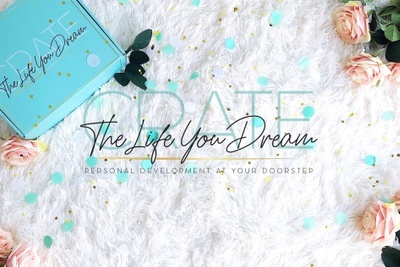 Enter your email address below to receive a notification when Crate The Life You Dream starts accepting new sign-ups! Enter your email address below to receive a notification when Crate The Life You Dream is accepting new sign-ups again. 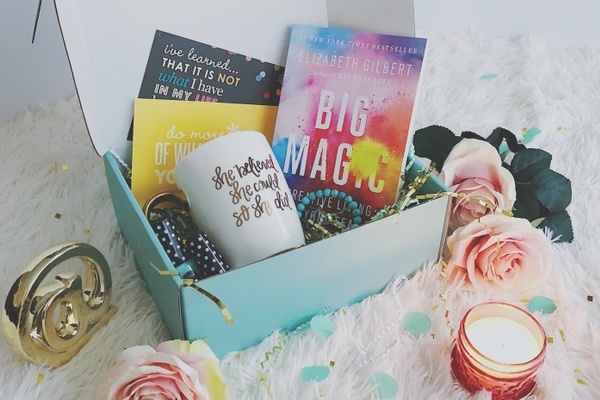 Use code MOMSDAY at checkout to get $10 OFF your first box! We ship around the 28th of every month. You will need to sign up by the 25th in order to get the current box. Personal Development at Your Doorstep. 1 Best Seller Personal Development & Self-Help Book + Powerful Life Lessons Summary Every Month. Scent of The Month. Enjoy the benefits of Aromatherapy while diving deep into purposeful readings. 1 Inspirational Bookmark + 2 Book Quotes Postcards or Magnets + 2 to 5 Mystery Gifts in Each Box. Access to Our Private Facebook Group to discuss the books with other wonderful women like you, and get amazing support and inspiration + Exclusive access to our Restricted Members Area, where you will find free resources, coaching exercises, ebooks, video courses, workshops, and free 1:1 coaching sessions with our expert coaches, who are there to help you gain clarity, focus on your goals and receive all the support and accountability you need to create the life you dream. Monthly Giveaways! Did someone say freebies?! Every month you will have the opportunity to enter to get your next box free, and win many other special gifts offered by our partners. I had no real expectations when I started the subcription. But I knew I needed a box that would bring self care and joy. 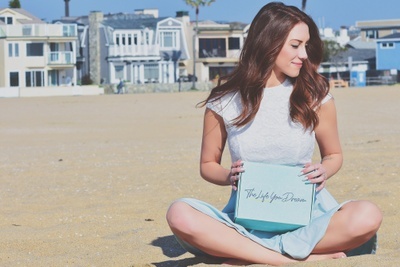 This subscription box is the best. 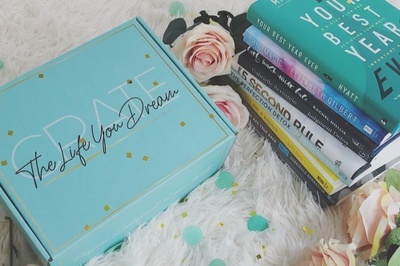 I got so excited just seeing the aqua box and beautiful words. I opened the box to find everything I needed to recharge. I will be using every single item. 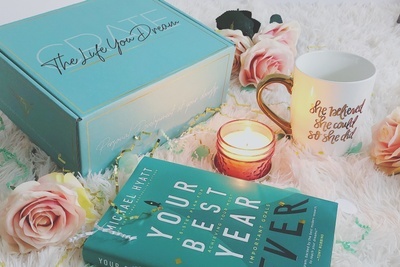 If you want pampering, order this box . Today I received my first box! Shipping was fast & the box value was about $80! I received a book I really wanted & love everything else! I look forward to next months box! Thoughtfully put together to encourage self care. Thank you so much for your review, Patricia! Glad to hear you liked your box, and can’t wait to ship our next box to you.